Beat the VAT rise on January 1st | What Hi-Fi? It's not the only retailer to do so. Asda has also said it will freeze VAT on more than half its non-food products. Department store John Lewis, whose Clearance Sale has already begun, says it won't raise its prices until February 2010. 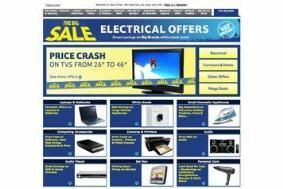 "While many retailers may be dithering with their decision on how to react to the increase in VAT, we decided early to help our customers with their buying decisions by announcing at the start of our sale that we would guarantee our pre-increase prices until at least the middle of January 2010. "To reiterate, all of our sale prices will remain the same regardless of the increase in VAT to 17.5 per cent. Effectively we will be swallowing the cost of the additional 2.5 per cent. "We see this as a confident move to encourage our valued customers to make a considered purchase rather than feel under pressure by the increase." The Government cut VAT to 15 per cent last December to cushion shoppers from the pain of the recession, but it's due to return to its original level on Friday. However, there's still time for shoppers to beat the VAT rise. We've reported on a whole range of sale offers which extend into the New Year, so if you're thinking of buying a new TV, hi-fi or home cinema, act fast. We've a huge selection of reader offers from Sevenoaks Sound & Vision, exclusive to readers of whathifi.com, which are valid until Sunday, January 3rd. The Home Cinema Centre is offering an additional 10 per cent discount on its 'special offer' prices until January 9th. And there are plenty more VAT-busting deals in our Top 10 sale bargains and in the Richer Sounds sale, as well as the 10 best bargains in the Amazon sale – although Amazon will increase its prices from midnight on New Year's Eve. These and many more great offers can be found on our News channel, updated daily, and don't forget to check out the Hot Deals section in our Forums. Follow whathifi.com on Twitter for all the latest sales updates.